Angels eagerly watch over Ann Fletcher's every move. She just doesn't know it yet. Ann Fletcher has returned to Charleston to see her younger sister Sarah receive her master's degree. But she soon finds herself riding in the back of an ambulance, watching helplessly as Sarah fights for her life. As they race to the hospital, Sarah talks to someone who is not there...and hums a melody Ann has never heard before. That unfamiliar, unearthly beautiful melody keeps finding Ann--first in the hospital chapel, then in her dreams, and finally in Sarah's empty house. Two neighbors have a profound effect on Ann. Ethan McKinney lends her a shoulder to lean on. And as a carpenter, he volunteers to help Ann get the Fletcher family home into shape for selling. His strong presence is a pleasing distraction. Ann's twelve-year-old neighbor, Keith, has Down Syndrome and the guile to believe he can actually see and hear angels. In fact, he insists they are looking out for her in ways she's never imagined. God begins to reveal himself to Ann--both in her newfound friends and through supernatural events. 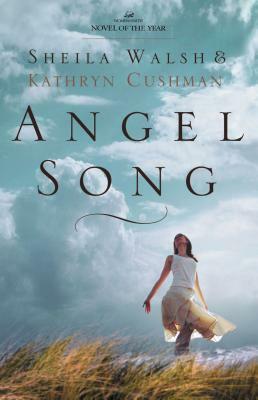 As she discovers the very real presence of angels around her, will she finally open her heart to receive God's healing love?